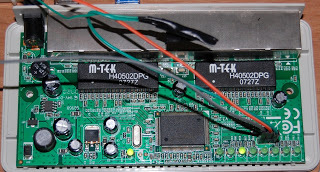 The title of that post may look crazy at first, but it’s not, it is entirely possible to convert your cheap 100M 8 port switch or stuff like that to a managed switch. 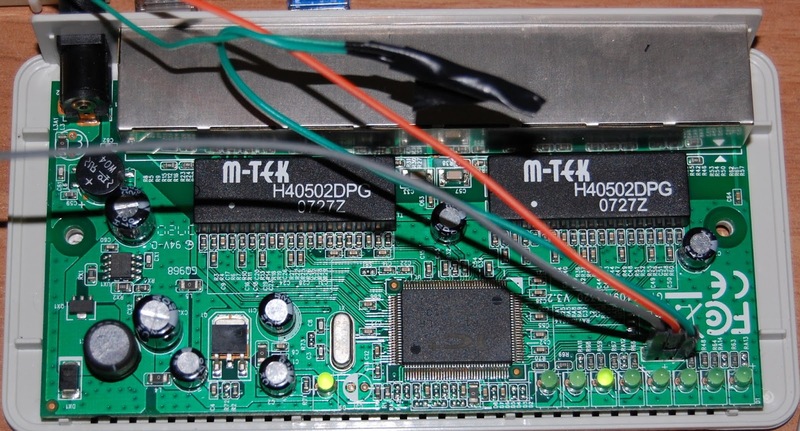 That’s possible simply because, if you open up one of these and look at the datasheet, you will find out that they use the same switch chips used frequently inside of routers ( which they can be reprogrammed as you like with openwrt ). 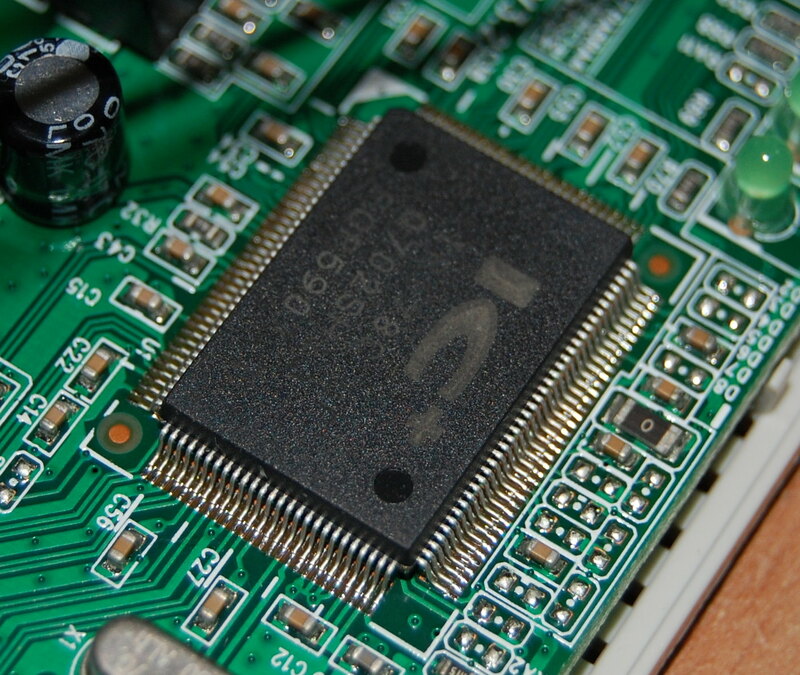 Switch chip is IP178CH, and since today luck is on our side, its datasheet can easily be found there http://www.icplus.com.tw/Data/Datasheet/IP178Cx-DS-R13-20080925.pdf . 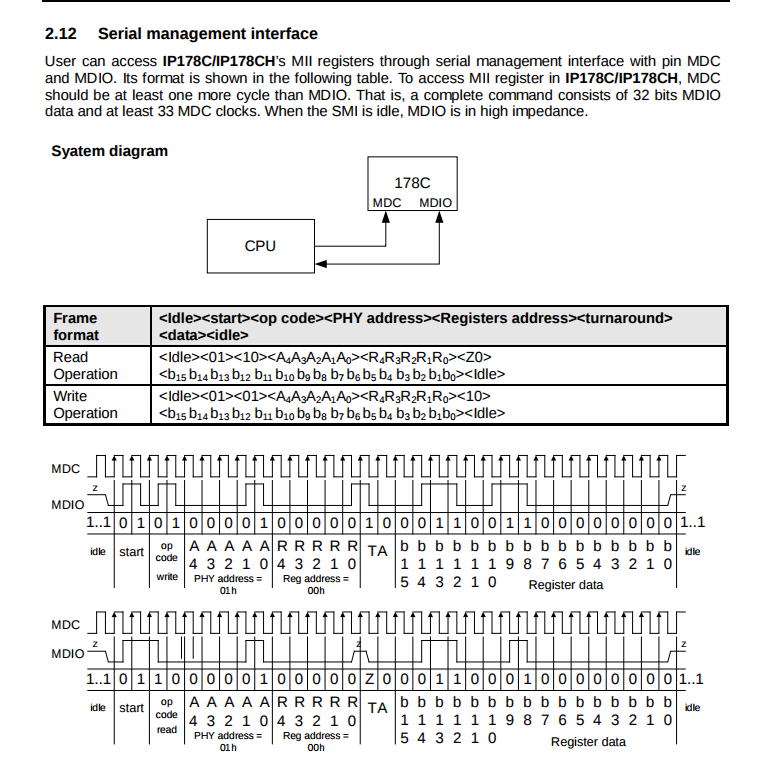 The switch chip can be programmed using a synchronous serial interface at pins MDC & MDIO, on the fly. 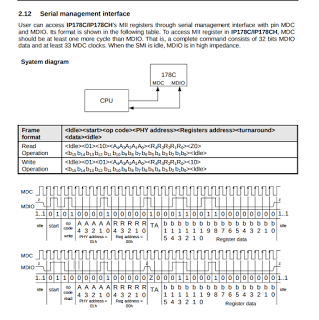 The serial interface is similiar to I2C but much simpler, it does not support multiple devices on the same bus and devices don’t have an address. MDC Clock has to be generated from CPU side ( in that case an arduino ) , so you can operate it at whatever speed you want provided you don’t exceed maximum ratings. Now once you know how to operate communicate with the switch it’s just matter of programming an arduino. To do that, if you want just to test and you are going to power the arduino over usb. you are going to need to modify an USB cable to give arduino 3.3v instead of 5v. You could also use a level shifter for that, but i prefer powering the entire arduino at 3.3v because it’s simpler and cheaper. 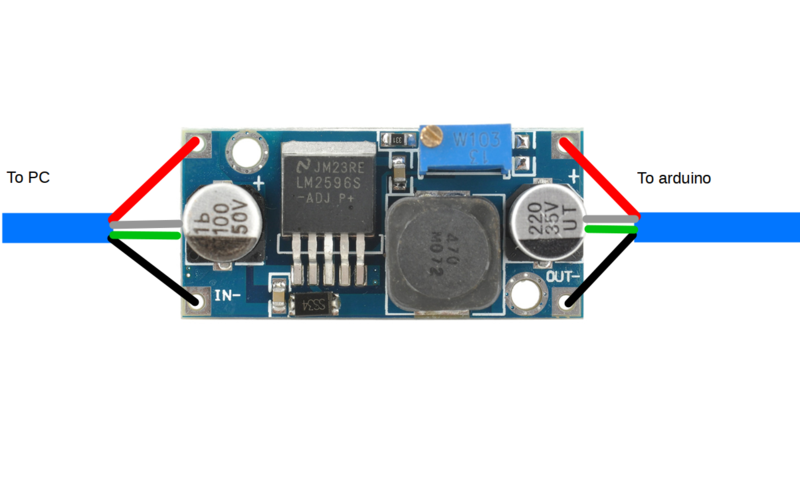 To power an arduino with 3.3v you can simple take an usb cable and cut red and black wires and insert a regulator between PC side and arduino side. 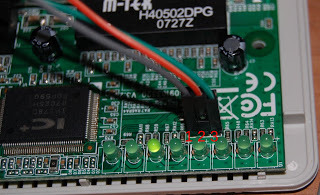 MDIO must be pulled high using a 2.2k resistor or some similiar value, again, if you are using a level shifter instead of the 3.3 cable mod, be sure to connect pullup resistor to 3.3v and not 5V. After doing that the HW part is done, if you want to make it permanent, just buy an arduino pro mini ( NOT NANO ) , and an usb-serial, the two should be around $2 total, max 3$. You can also easily find on the board the 3.3v power rail and power the pro-mini from there, DO NOT power the arduino pro mini from usb or use an arduino nano or you will fry everything. When connecting usb-serial adapter to it you will only connect GND, RX, TX wires , also DTS if you want to be able to program it from usb. Now let’s take a look of a basic software to have a managed switch which can save configuration on arduino eeprom and restore it at boot. writeReg writes an entire register by submitting a write command together with phy address, reg address and the 16 bit value to write. The switch itself works in a fairly simple way, you can assign which ports belongs to a VLAN ( that is independent from whether the packets will be tagged or not) and then you can configure how to treat untagged packet and what to do when a packet from a VID port group goes out of a port. With that configuration for example you will be able to connect 3 different networks to a single ethernet cable, which may be useful when you have a radio tower with multiple devices on it and only a single cable going to the ground equipment. That’s just the beginning, similiar mods can in most of the cases be done on all switches and probably with more features on newer ( gigabit ones ) switches. You could also use a raspberry to manage the switch instead of an arduino to be able to work on it from ethernet with some nice web interface.